Privacy, serenity, style – these are among attributes that make 3152 Roxanne a special place to live and a great opportunity to buy. Designed by renowned architect Cliff May, this home has approximately 1,427 square feet of living area and features three bedrooms, two bathrooms, a bright and spacious kitchen, living room and family room. The home has been tastefully upgraded and immaculately maintained and is move-in ready. The grounds are equally pleasing, with a beautifully manicured front courtyard/patio combined with a tranquil backyard patio and lawn complete with covered and lighted lounge area. 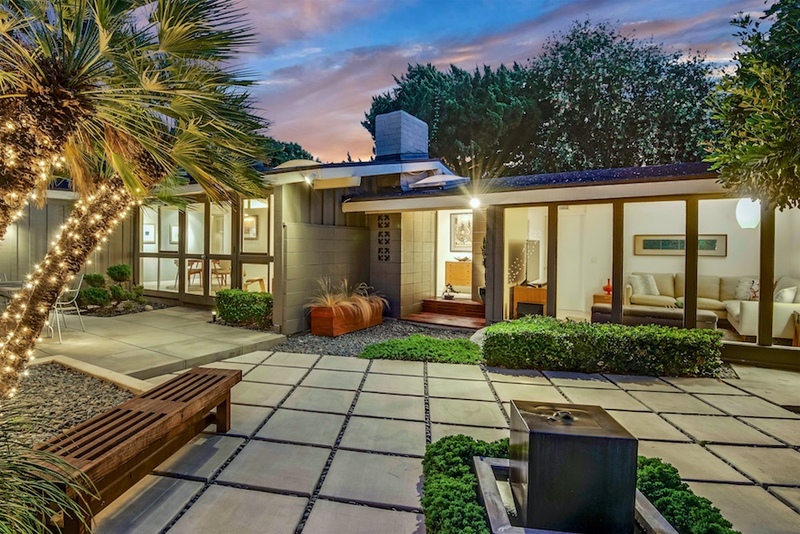 This gem of a property sits in a quiet interior location within the Rancho Estates, a neighborhood of Cliff May designed midcentury modern homes adjacent to 800 acre El Dorado Park and Nature Preserve. The Rancho Estates is a quiet, safe neighborhood characterized by tree-lined streets, pride of ownership, a strong sense of community, and an appreciation for good design and architecture.